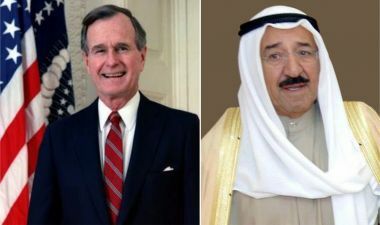 KUWAIT-- His Highness the Amir Sheikh Sabah Al-Ahmad Al-Jaber Al-Sabah sent a cable of condolences Saturday to US President Donald Trump, expressing his sincere sympathy over the passing of former President George H.W. Bush. In his cable, His Highness the Amir said on behalf of the Kuwaiti government and people, he expressed sincere condolences on the passing of President George H.W. Bush, the 41st President of the United States of America. His Highness the Amir recalled George H.W. Bush historic stands and support to Kuwait and his rejection of the Iraqi occupation in its early hours, including the decisive decisions taken by the American administration under the leadership of Bush and his pivotal role in forming an International coalition, mandated by the UN to liberate the State of Kuwait. His Highness the Amir sent similar cables of condolences to President George W. Bush, the 43rd President of the United States of America and the deceased president' family. His Highness the Crown Prince Sheikh Nawaf Al-Ahmad Al-Jaber Al-Sabah and His Highness the Prime Minister Sheikh Jaber Al-Mubarak Al-Hamad Al-Sabah sent similar cables to US President Donald Trump, marking the occasion. 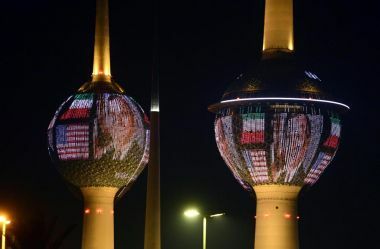 KUWAIT - As an appreciation from Kuwait for the great role played by the late US President George HW Bush in liberating Kuwait from the brutal Iraqi occupation. 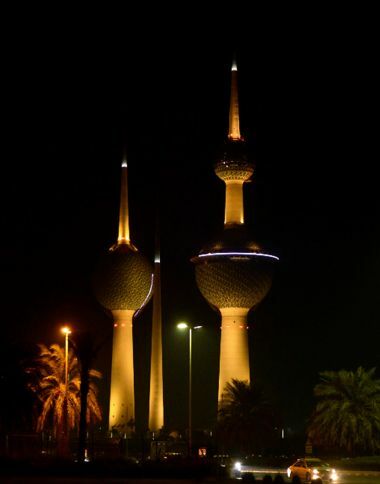 The tourism sector in the Kuwaiti Ministry of Information, in coordination with the officials of Kuwait Towers, turned off the lights of the towers on the night of Saturday, December 1st, from 9 am to 1 pm. 9:30. 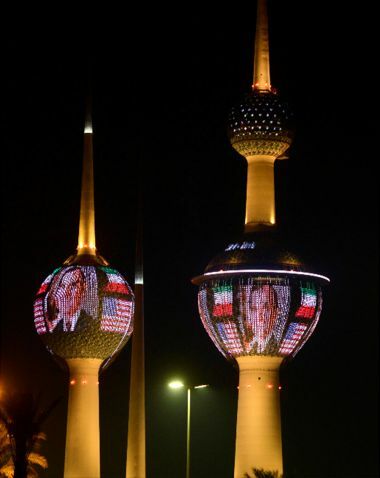 President Bush's picture was also drawn with the flags of Kuwait and the United States from 9:30 pm to 12:30 pm Kuwait time.